In this family card game, 2-5 players bid to collect the healthiest foods while avoiding unhealthy ones. Gather broccoli, and you are on your way to victory. Get stuck with a few sodas, and that is a tough hole to dig out of. With quick gameplay and fun art, Yes! Broccoli! encourages kids to choose more nutritious foods. 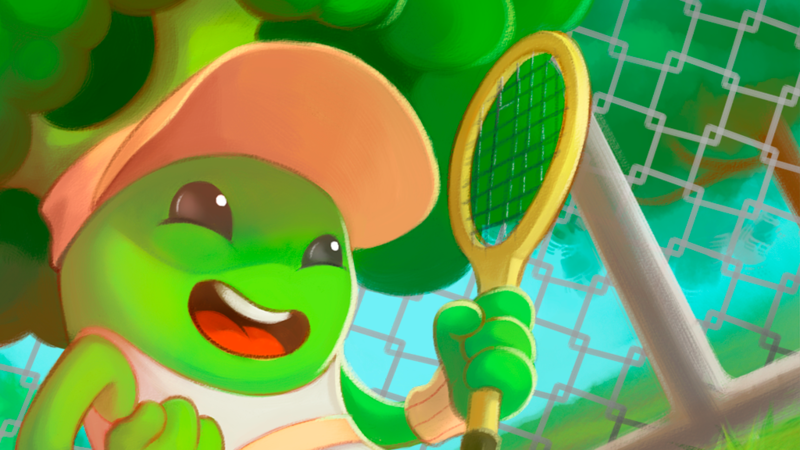 Strawberry pirates and broccoli tennis players are the way to go. Kids may love candy, but the candy T-Rex won't help them much. Made for players ages 6 and up, even the youngest players grasp the basic strategy of the game. Older players can try to predict what their opponents will do or add in advanced cards to increase the complexity of the game. The game takes less than 30 minutes to complete. Yes! Broccoli! was created out of a desire to promote a more nutritious and plant-based diet. It also introduces negative numbers and gets kids to practice their math skills when they add up their points at the end of the game. See our Kickstarter page for more information. ​Yes! Broccoli! is (C) 2018 Gangway Games LLC. Gangway Games and Yes! Broccoli! are trademarks of Gangway Games LLC.